Subsidiary of ASL Aviation Holdings, ASL Airlines France, formerly known as Europe Airpost, is a French airline, certified ISO 9001:2015. For 30 years, it has a dual activity of passenger transportation (scheduled flights, leisure flights, incentive flight, VIP flights…) and cargo transportation. It is the heir to L’AÉROPOSTALE and it has built its reputation on a flawless quality of service in favour of its clients: carriers, postal and express freight operators and tour operators. Based in the airports of the largest cities of France and in Manchester, our Boeing 737s allow us to perform passenger and cargo flights to destinations and at times requested by customers. What are our strengths? A great responsiveness and flexibility, time control and a high quality of service. 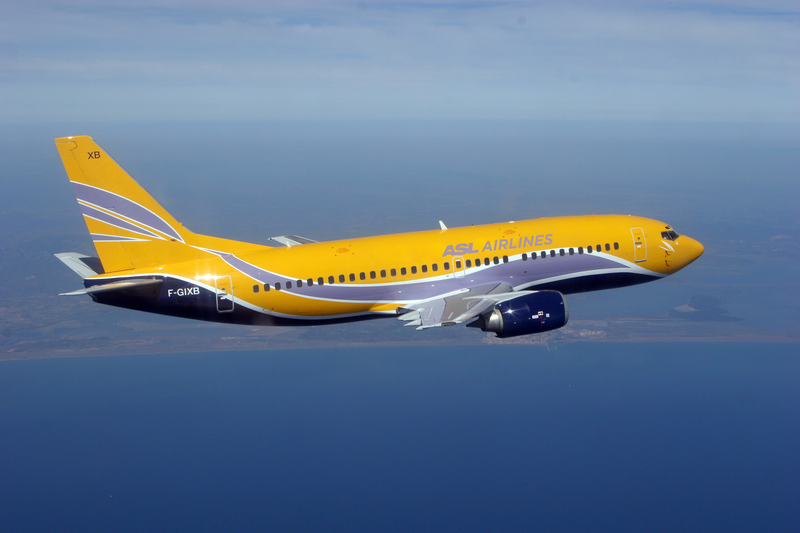 Leisure, incentive or VIP flights are performed aboard our Boeing 737s. Whether standard or “À la carte” services, our first requirement is the satisfaction of our customers (large tour operators, consolidators or air brokers) and our passengers. 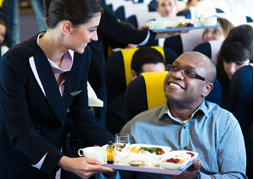 In partnership with some tour operators, ASL AIRLINES FRANCE also offers, for a given period, the opportunity to sell directly to the public, several seats per flight on some destinations. This trading is done through traditional travel agencies or online, but also on our website, through our online booking engine*. * Notice. If it does not appear on our home page, it means that for the moment, there is no flight offered by this online ticketing service. 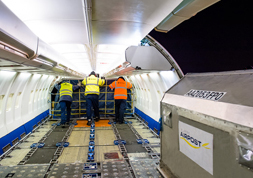 General cargo, hazardous materials, perishables, live animals, mail, parcels, high values/fragile, express freight… ASL AIRLINES FRANCE carries all types of cargo around the world for freight forwarders, carriers, postal and express freight operators. Whatever the needs and requirements of our customers, we strive to find a suitable solution and provide quality service. 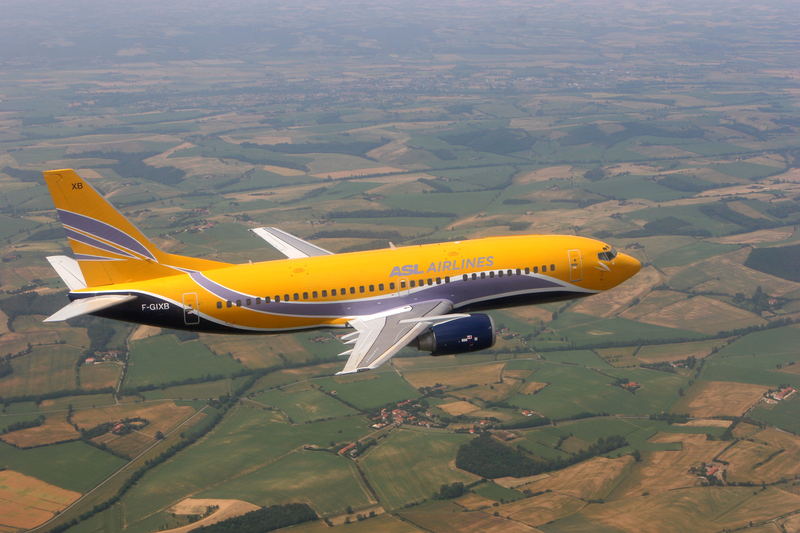 ASL AIRLINES FRANCE can provide one of its Boeing 737s, a team of experienced engineers and technicians, an insurance contract as well as a cockpit and cabin crew to airlines for a short, medium or long term. Ground handling is one of the essential keys to ensure timely departures and arrivals. That is why ASL AIRLINES FRANCE offers a wide range of technical ground handling services for both passenger and cargo flights.